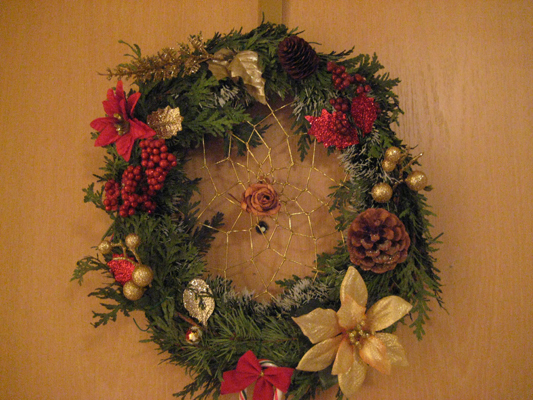 One week ago, I attended an aboriginal workshop to learn how to make a dreamcatcher. After I finished weaving the centre (it took about 15 minutes), the teacher tied a rose cedar bark in the centre then wrapped the circle in cedar branches. 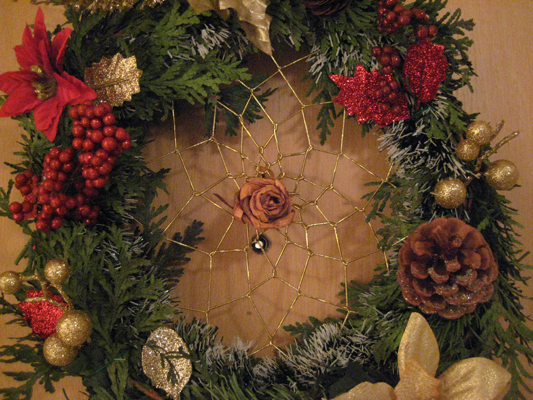 To my surprise and delight, we got to decorate the dreamcatcher and turn it into a beautiful holiday wreath. I’ve always wanted to make a dreamcatcher. During the workshop, the instructor corrected me when I called it a “dreamweaver”. It did feel like I was weaving a childhood dream.